Monia Mazigh, originally uploaded by johnwmacdonald. 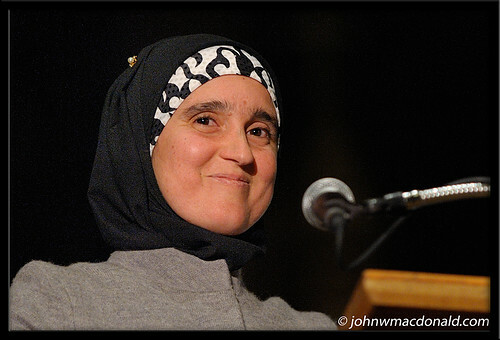 Monia Mazigh at the podium reading from her book. If there was a ever a prouder look on someone's face I haven't seen it. She's beaming.